The core of my painting practice involves a balance; to create work where the paint is playful on the canvas, as well as discussing ideas. It's this enjoyable challenge which drives my painting. My print work mirrors these goals. Influences range from Hockney to Guston. I work to investigate things that interest me either visually or conceptually. 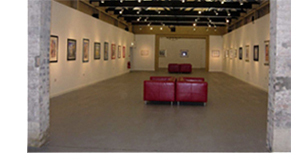 There is more information on specific work in the gallery section.